One would say web analytics is perhaps the mastermind of online business. It is really important to measure the performance of a site & behaviour of its visitors to make a successful online business. Site owners must identify the pros, the cons and the drifts that will make their site the next “must read” stop for visitors each day. The only way to effectively do this is to have a good statistics package working in the background. Not all web analytics tool handles their metrics/stats in a same pattern. 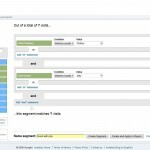 Each analytics tool has its unique way of determining the metrics such as “Page Visits” or a “returning visitor” which is actually perplexing. But every online marketers must be well aware of the metrics they should analyze in their website, but it becomes a tricky play for them while figuring out the apt analytics tool that best fits their business. Here I would like to analyze some promising web analytics tools that will allow the site to hit the ground running and, hopefully, show us just what a successful site really is. 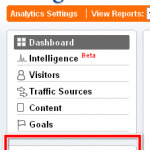 I don’t want to discuss much about Google Analytics, as most of us would be more familiar to it. It is a free product offered by Google that generates detailed statistics about the details of a website. Google Analytics track traffic from all references including search engines, display advertising, pay-per-click networks, email marketing and even digital collateral such as links within PDF documents. 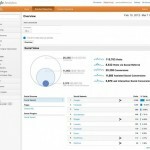 Omniture with its wide range of products, tools and services is being one among the list of worlds biggest website stats. Omniture being the industry’s number-one site analytics provider, offers perfect web analytics solutions for Professional online marketers. 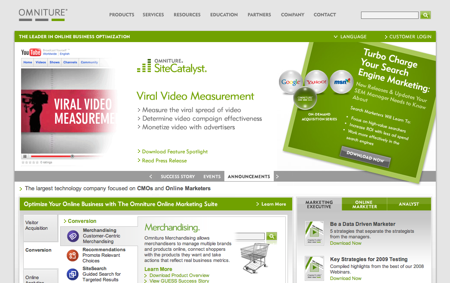 Omniture’s web analytics program includes Omniture SiteCatalyst, Omniture DataWarehouse, and Omniture Discover. Omniture Site Catalyst avails us to access various metrics including real time data, snapshots of the website’s key performance indicators, automatic alerts and optimize multi-channels. 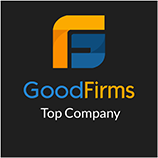 And its services are mainly focused at advance webmasters who can deeply acknowledge the programs and the features of the services they have to offer. Nevertheless, all the programs and features that are mentioned here are very useful and can make your site earn money with the right web data and statistics. 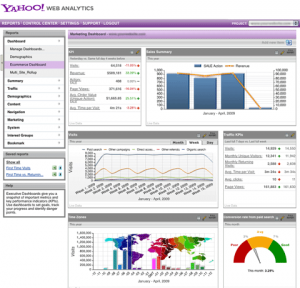 Yahoo Web Analytics, a free featured enterprise analytics solution offered by Yahoo, offers insights to various stats such demographics, category interests of the website visitors etc. Its key features includes powerful and flexible dashboards, segmentation tools and campaign management, which makes Yahoo Analytics, a easy to use tool for online marketers and webmasters. But the sad thing is that Yahoo Analytics is currently available for only Yahoo! Advertisers, Yahoo!’s hosted ecommerce customers and Yahoo! web analytics consultants. The good thing is that Yahoo Analytics will be available for all the users by the end of 2009. Webtrends, granddaddy in the Web analytics space, has been around forever and been sold a few times along the way. Recently they have launched their 9th version of its web analytics platform for the enterprise. 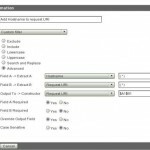 AWstats is a free full featured and powerful tool that generates advanced website information. AWstats is a widely used tool, that provides significant amount of information pertaining to “referring sites” (sites that send you traffic). Infact it is pre-installed by many web hosting companies and you may already have it for your website and not know it. Ofcourse, there are many other awesome site analytics tools available out there, but unfortunately I cannot make them count as I’m running out of space, so I leave the rest for your commenting section. 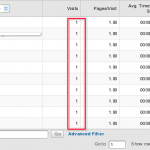 Google Analytics Filters – Are you Making the Most of it? ‹ SEO Top Secret Revealed ! Nice write up. May be more insight on the free vs paid tool would be really great. Hope you would come up with it. Good to know about web analytics. I think it is helpful for the people to know the visitor on their site.